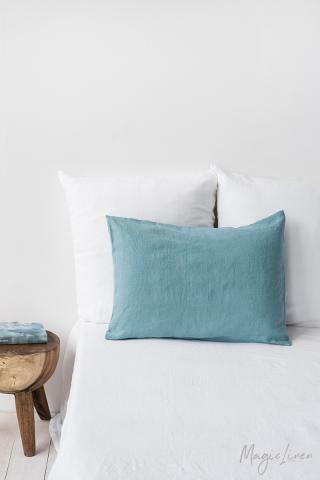 Linen flat sheet in aquamarine blue (turquoise) color. 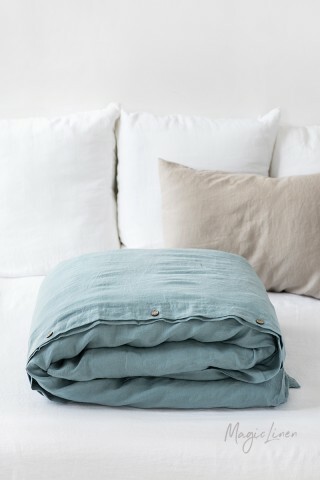 Luxuriously soft and breathable linen sheets will become a staple of every modern bedroom. The natural thermoregulating and moisture-wicking properties of linen guarantee the feeling of comfort all year round. Flat sheets can be used as top sheets or bedcovers as well.